Rendering of the JAXA probe Hayabusa hovering over Itokawa. 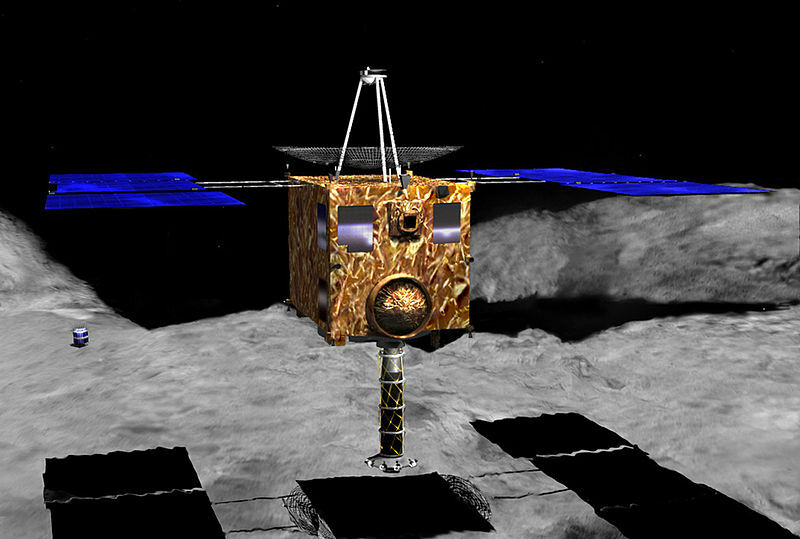 Hayabusa is the only spacecraft to have landed on an asteroid (Credits: J.C.Garry). Merryl (or anyone, especially outside the U.S.), any thoughts on the permissibility of space mining for purely private profit under the 1967 Outer Space Treaty?